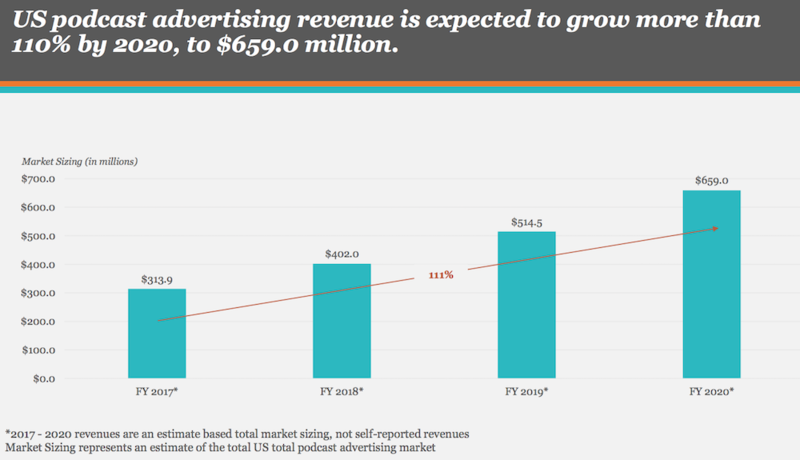 In an industry report that dramatically raises revenue expectations for podcasting, the newest projection says advertising income will reach $659-million in 2020, 64% higher than this year’s projected ad revenue. That’s the marquee message from a second annual report conducted by the IAB and PwC. In 2017, total U.S. podcast advertising revenue was estimated at $314 million, rising 86% from the 2016 figure of $169 million. 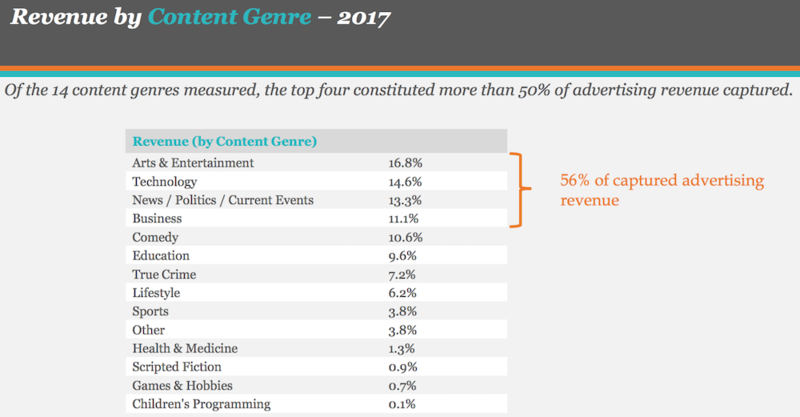 The study depends on self-reported income of 19 podcast companies, and estimates of the total podcast advertising ecosystem. Self-reported podcast ad revenue from those 19 companies totaled $257.4 million for 2017. 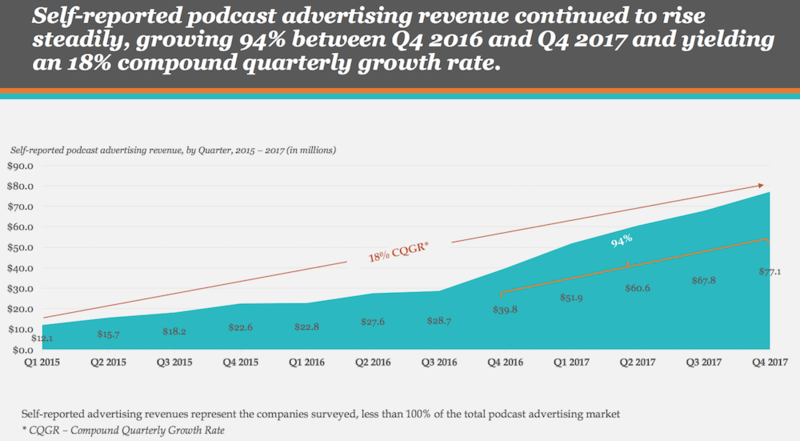 Clearly, the report paints a bright future for the segment, with 28% growth expected for 2018 and 110% growth projected by 2020, which would push total podcast ad revenue to $659 million. More than that, the $659M project far surpasses the oft-quoted $520M 2020 projection from Bridge Ratings. That number was the only pin in the 2020 revenue map until today. Anyone who thought it was an overestimation now has good reason to think that podcast revenue is accelerating much faster than imagined. The report showed that podcast ad revenue has been gaining steam more rapidly in the past year. When looking all the way back to Q1 2015, compound quarterly growth rate for the self-reported segment is 18%. When just looking from Q4 2016 to the present, the rate is 94%. Again, acceleration is the key. Total revenue for podcasting is relatively small compared to streaming music advertising and traditional radio advertising. .those comparisons inject some sensible caution into the industry, even as institutional acquisition money has flowed into the space. In our conversations with potential players, we encounter a sense of placing bets. This report documents not only high projections, but quickening flows of money. The self-reported data included a more granular look at what type of ads drove the money. 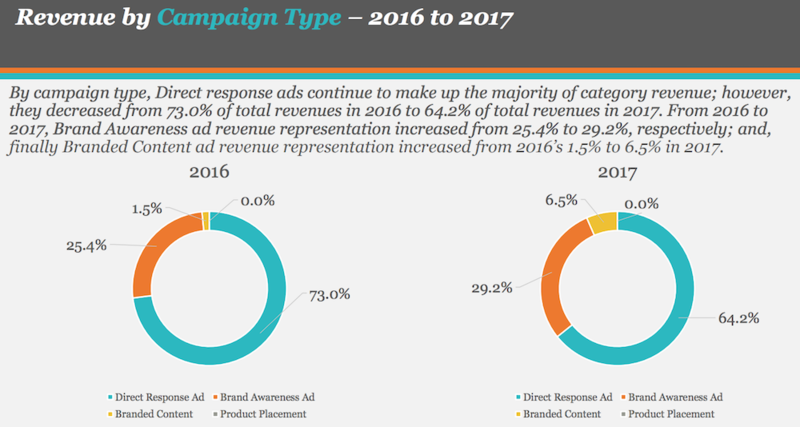 Direct response ads provided the majority of revenue in 2017, but less than in 2016. Brand awareness ads saw share growth from 25.4% in 2016 to 29.2% in 2017, while branded content rose from 1.5% to 6.5%. Many observers believe that brand advertising, as opposed to direct response (DM) ads, is the key to dramatic category growth. That’s because the national brand advertisers deploy massive marketing budgets across media categories, and a budgetary shift to podcasting would be more meaningful than the smaller outlays of service companies which run DM. The chart above indicates that some degree of shifting might be underway. 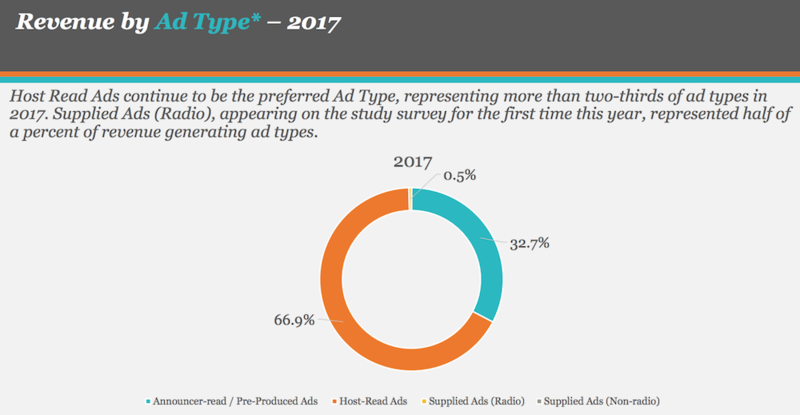 This year was the first time IAB/PwC asked participants about ad types. Host-read ads accounted for two-thirds (66.9%) of the 2017 ads. The remainder was mostly announcer-read or pre-produced ads, although the new category of supplied ads (radio) did secure a 0.5% share. There is no trending data here, but the chart above does reinforce the importance of host-read ads. The value equation here is based on a theoretical trust between host and audience, based on an inherent intimacy of podcasting. 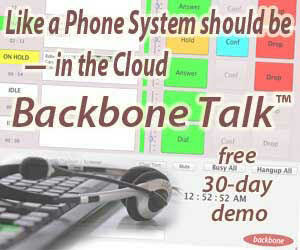 Advertisers leverage that trust by giving the host basic talking points, and allowing freedom of presentation. The performed results can be staggering in variety and freedom. 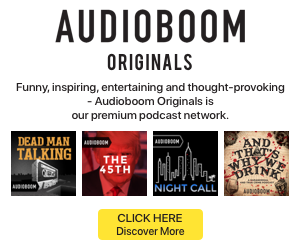 For example, host-read creative on Pod Save America is a rollicking performance by all three hosts, while comedian Bill Burr savages his sponsors on the Monday Morning Podcast in extended presentations that can last for minutes. 2017 also marked a shift in ad delivery preferences. Integrated/edited-in/baked-in ads took the larger portion last year with a 58.3% share. In 2016, automatically inserted ads were the more common choice at 56.4%. In one of the most interesting data points, ad injection declined year-over-year. There is disagreement among experts about the wisdom and efficacy of this ad technology, which takes pre-recorded spots (often host-read) and pushes them programmatically into shows as they are being played for the listener. The most effective staging of this technology might be evergreen past episodes of non-topical shows. when there is an audience today, for a show produced last year, you don’t want today’s listeners hearing last year’s ads.